Royal Falcon Airlines Airbus A319-112 JY-JRE (msn 1124) AYT (Ton Jochems). Image: 905448. 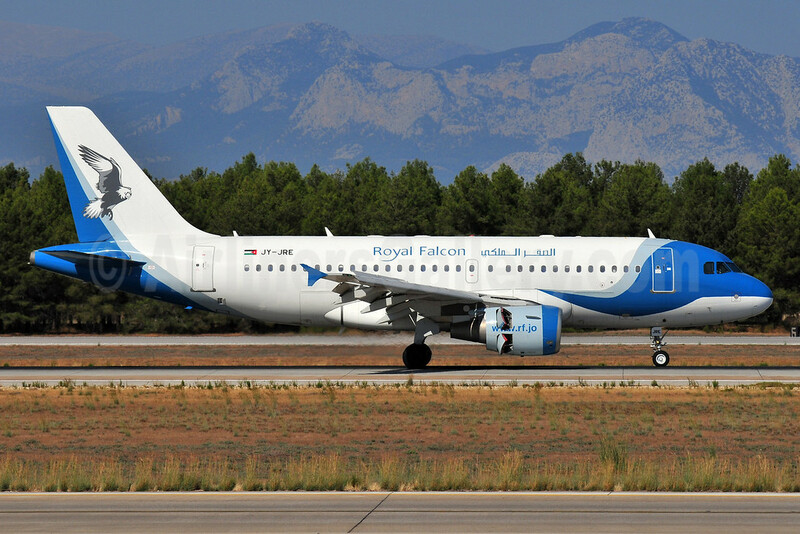 Copyright Photo: Royal Falcon Airlines Airbus A319-112 JY-JRE (msn 1124) AYT (Ton Jochems). Image: 905448.